In Part 1 of this article we discussed the “Sacred Cow” of the knife world – the “Knife Grip!” For too long Asian and Western knife aficionados have too eagerly advocated many knife grips that are questionable and even dangerous. In Part 2 we will examine the evolution of many of these knife grips, and determine which ones are relevant. As stated in Part I of this article, the “Power Grip” is the safest and most secure way to hold a knife. There is superior strength and leverage when all fingers are wrapped around the handle. 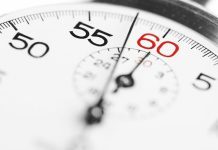 However, there are several exceptions to the rule – which we will also discuss. Some of the popular knife grips we use today originated in Southeast Asia, including Indonesia, Malaysia, and the Philippines. Of the myriad of knife styles practiced in SE Asia, we will focus on Filipino grips since they are well known, the tactics are recognizable and appear to be more practical.The knife grips of the Philippines evolved from the use of knives as farming tools, animal butchering/food preparation, carving tools folk art, house building, and in earlier times intermittent warfare with other tribes and communities. The knife cultures of other parts of Southeast Asia would have evolved in the same manner since the environment was similar. The knife grips of the Philippines evolved from the use of knives as farming tools, animal butchering/food preparation, carving tools folk art, house building, and in earlier times intermittent warfare with other tribes and communities. The knife cultures of other parts of Southeast Asia would have evolved in the same manner since the environment was similar. The martial craft used in this type of warfare is generally called Silat. It can be largely assumed that Silat had an Indian origin. Indonesia means “Indian islands” and the influence of Indian culture in Indonesia, Malaysia and the Philippines is not only in martial craft but also in tools, cooking utensils, food, and language, (examples of Indian culture can still be seen today in Bali). Silat can be viewed as a more direct Indian derivative from Shashta Vidaya, Kalari Payattu, Katha Kali, and Thang -Ta. The major influence came through the land of coconuts, Kerala. A view of some Shasta Vidaya’s empty-hand techniques shows a direct influence in the Silat movements of some FMA. 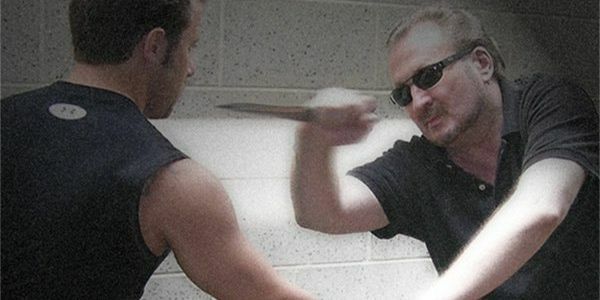 Weapon handling in Silat went along with the main working principles of using the blade for everyday tasks. A curious feature is pinching the bare blade-base closest to the handle (ricasso) which is typically unsharpened. There is little or no guard to interfere with the forefinger or thumb with the rest of the fingers on the handle. (In the West, the ricasso is usually behind a guard). While seemingly an insecure grip, this way of handling the blade provides sufficient leverage and very accurate cutting. The machete is typically gripped by pinching the base of the blade for lighter work. In many instances this may be the main grip aside from the main handle. The base of the blade is unsharpened by about three inches. Note: This is very similar to some European sword grips, however the fingers are behind a guard or quillions. With a small kris the drop handle is lodged in the base of the palm and the flared guard is pinched with the forefinger and thumb. This provides a very secure grip for stabbing and slashing. Note: the stylized Silat that we see today also had their own particular signature grips. These grips were utilized for the need for subterfuge and trickery in fighting rather than technical movements as in European blade-work. There seems to be a concerted effort by a few individuals to disprove that Spain had any influence in Filipino edged weapons tactics. Filipinos have always been resourceful and innovative, so to rule out these influences is simply uninformed. Spain ruled the Philippines for 330 years, undeniably this would have provided a rich influence on Filipino Martial Arts. Spanish influence was strongest in and around the major coastal towns closest to the sea, e.g. in the islands of Cebu, Panay, Negros, and the Manila Bay area. You can see Spanish and Italian sword techniques within Filipino techniques in the #6 and #7 strikes (above the armored breastplates), in the Moulinettes, Sombrada, Espada-Y-Daga, and Abanico movements. In the mountains further away from the sea, there was less of a European influence and more of Silat, however it was not the over-stylistic and symbolic Silat styles we commonly see today. The Bolo has always been the main tool in the Philippines (like the machete in Latin America), for carving, hunting / skinning, food preparation and fighting etc. Many are around 18”, it’s an all-purpose tool. Many people in the Philippines still use the bolo to this day. In the provinces south of Manila there is also a thinner knife called the “Pangtulungan” (means “for helping”) its main use is for social occasions and communal butchering of animals, these are knives that are commonly worn on the waist for work on a daily basis and also used in fights. Many knives in post WWII Philippines, especially in larger cities were small knives or balisongs (BTW: contrary to the Hollywood imagery, balisongs were opened with two hands to avoid them from slipping out of the hand). It isn’t customary to walk around with a bolo in your belt unless you live in farming areas or in the provinces outside of the cities. Many Filipino’s used and carried small knives and the most secure method of holding them was to plant the end of the knife in the palm of the hand so there would be less slippage. Many historical Filipino swords have featured the curved drop handle grip, this was also present with some knives. The drop handle could have evolved from a combination of indigenous developments in the Malay regions (Indonesia, Malaysia and the Philippines) and it could also have been influenced by the handles of the early flintlocks brought in by Spain. This curvature of the drop handle has two advantages, 1. you can slash without losing the knife, and 2. stab, using the end of the handle to keep your hand from sliding down the blade. This was very prominent in the very short handles of stabbing kris. In general the most successful knife attacks have been ambushes. However there are also knife fights (perhaps not formal duels) when two parties with knives fight. Many so-called knife experts in the West claim these don’t exist but I have seen a few during my travels. For an assassination, a power grip is less important since the whole action is predicated on targeting a major vital area and initiating a sudden covert attack. However, in a one-on-one knife fight, having a secure grip is essential. Losing your knife could potentially end your life. There is a grip that features the thumb on top of the spine of the knife, it’s often called the “Filipino Grip” in the West. This is where the thumb is placed on top of the spine of the knife. 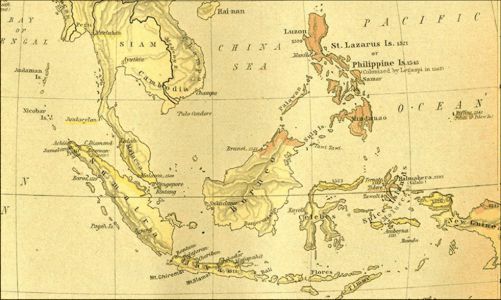 However there isn’t a clear provenance to the evolution of the so-called “Filipino Grip” in the Philippines for battle. This grip was probably influenced by a daily use of the knife in Southeast Asia. This grip is also prominent in the West. 1. Some influences came from the way Filipinos cut certain meats, i.e. with the thumb on top to add downward pressure, 2. Influence from the Ilustrado Filipinos (the higher classes) they used the popular Mexican grip influenced by sabre work (Spain ruled the Philippines indirectly through Mexico), 3. There was a strong influence of knife grips from America after the Spanish American War in 1902. Despite the harsh treatment of the Philippines by American rule in the aftermath of the Spanish-American War, America has, for the most part been a friendly and strong cultural influence in the Philippines. 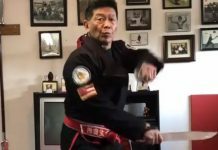 American popular culture has always been in vogue, so too, from the 1970’s through the 1980’s American’s couldn’t get enough of Filipino Martial Arts. 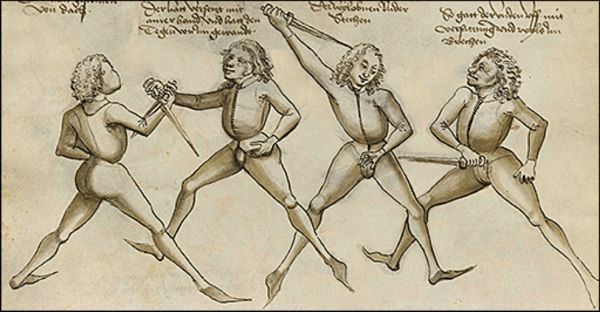 It was the only modern martial discipline that taught stick and knife fighting. However starting in the ‘90’s something interesting occurred. Filipinos at home started copying the adaptations of their arts found so appealing to the Americans. These were increasingly complex drills that were designed to be safe but exciting for the American practitioners. The increasingly litigious milieu required safe practices inside the gyms. FMA organizations were seen to be special and unique and created many of the drills and exercises that became popular in the U.S. The end goal in the Philippines was to cater to the America market. The name kali, mentioned rarely in olden times and in different word-contexts, came to be the brand name of what is now American FMA. The word kali was actually forced-together from the first syllables of two Filipino root words. In the first part of this chapter we examined the knife grips from Southeast Asia, which were born out of utilitarian uses such as farming, animal harvesting and the carving of tools and implements. In the West however, many modern knife grips can be traced back directly to the sword vis-a-vis previous generations of dueling and modern sport fencing. Most people don’t realize that Europe also had several rich knife cultures, including: The Germanic/Viking era, the Middle Ages, the Renaissance, the American Frontier, Gypsy society and the early 20th century. It’s this last era, between WWI and WWII that influenced many or our current Western knife attitudes and practices. By the late 19th century, improvements in firearms quickly supplanted the use of swords on the battlefield. 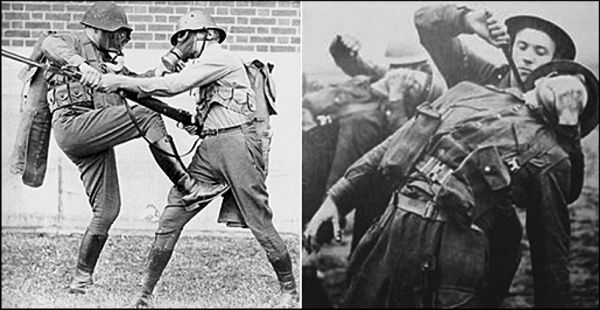 For a short period of time there was a modern refocus on the use of bayonets (which had already been deployed for hundreds of years), however historians tell us that WWI Bayonets were less popular with soldiers than the preferred knuckledusters, knives and clubs for CQC (close quarter combat). The trench knife was introduced during WWI and was at first more of a utility knife. Eventually it was utilized in CQC situations. By WWII, troops were already being supplied with knives specifically designed for combat. Most notable was the Fairbairn-Skyes Fighting Knife, the Soviet NR-40, the KA-BAR (issued to the USMC as a standard issue knife). Modern Western knife tactics were directly influenced from fencing. This was introduced via the armed forces through combat programs in the early 20th century. The first U.S. Army Combat Manual was published in 1852 and bayonet training was actually based on the small sword of the 18th century. In addition, many senior military officers were skilled fencers and used the fencing paradigm for troop knife training. 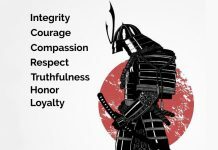 By the early 20th century, the U.S. Army (and others) were already teaching an early form of CQC which consisted of an amalgam of boxing, wrestling, Japanese jujitsu, and an assortment of dirty tricks for fighting with and without weapons. Around the same time in China, two English men, Fairbairn and Sykes were developing their own unique form of combatives to cope with armed gangs under the authority of the Shanghai Municipal Police (SMP). Second in importance to firearms was learning how to deal with and using edged weapons. This was an important aspect of training for the military as well as the SMP. Both of these men also had backgrounds in Western fencing (Fairbairn was also a black belt in judo). 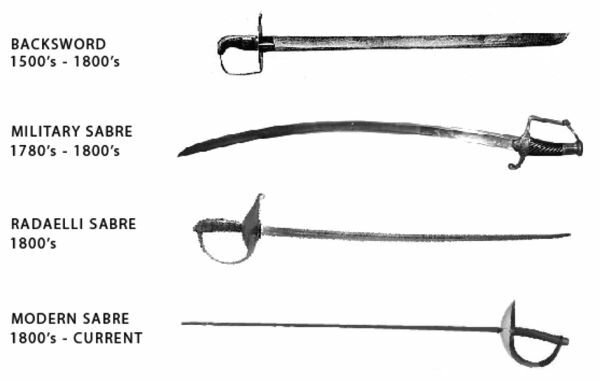 Many senior military officers in Europe and America were champion fencers, and most used the sabre. One of the more famous fencers included General George Patton, who in 1912 placed 4th in the Olympic Pentathlon in fencing. Long before he was known as Old Blood and Guts, his nickname was Sabre George. During this time fencers were already using the modern competition sabre, epee and foil, similar to what is used today. Due to the lightness of the weapons, they were manipulated mainly with the fingers and wrist. There is even a fencing expression, from the fingers – from the fingers! The grip on the Fairbairn knife (on the right) was copied from the sabre grip – however without a guard, this grip could easily be dislodged from the hand. This finger manipulation of sport fencing was transferred to the way the early armed forces taught the knife. This was the only template available at the time and no one thought to look further. Unfortunately grips that were viable in the previous age of dueling and sport fencing were also used on knives. This was wholly ill-suited to the much smaller knife. It’s like using staff fighting grips for the sword, some things cannot be transferred. 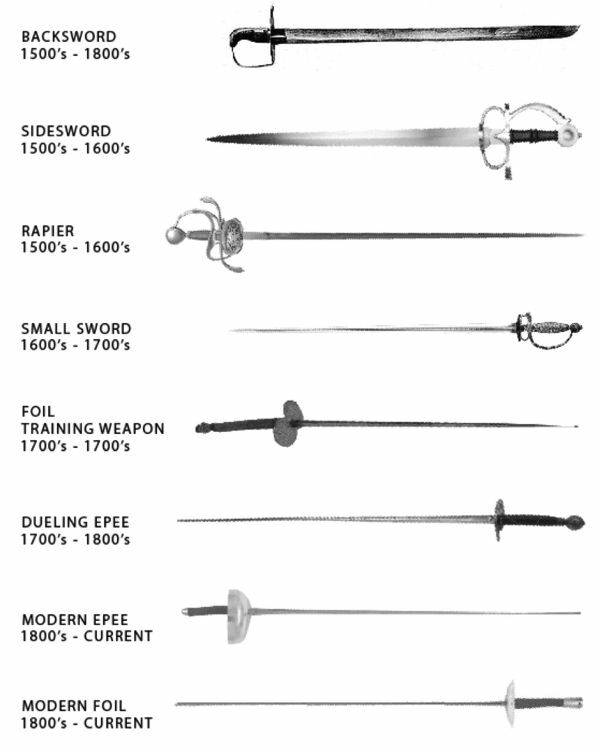 Modern sport fencing came out of two linages, the thrusting sword (epee & foil) which originated with the rapier (carried on through to the small sword and dueling epee), and the cut and slash schools of the sabre, beginning with the eastern influenced military sabre’s, to the Radaelli sabre and on to the present day sport sabre. It’s interesting to note that early cut and slash swords were heavy and the method of use was to engage the entire arm from the shoulder. The Radaelli sword, which evolved from the heavy military sabre was much lighter and the method of attack was with the forearm and wrist. Sport fencing sabre’s were even lighter and the method of use was mainly with the wrist and fingers – this was the direct lineage of the modern thumb on spine knife grip used today in the West. *A brief evolution of thrusting swords can be seen here. The backsword was a cut and thrust sword, however with each generation, it evolved more and more into a thrusting sword. It’s important to note that we are discussing swords that were used for personal combat or duels, not military swords which were different. Also notice the timelines of the swords, it shows that the birth of radically new weapons did not immediately eliminate the previous ones. 1) Grip on a Rapier 2) Grip on a Small-Sword. The advantages of sword grips, both in traditional dueling swords and in sport were: 1) the handles are longer, 2) A fencer could wrap his fingers around the ricasso, a cross-guard or quillions for extra purchase. 3) In many cases there is a large guard protecting the hand, Bell, Shell, etc. Unlike dueling and sport swords the grip options on knives sare limited, the reasons: 1. finger support on ricasso’s and quillions aren’t options, 2. Knives do not have guards to protect the fingers and, 3. Unlike the long handles of swords, knife handles are typically short, therefore the knife can easily be dislodged. Many instructors who teach these grips were part of their system and never thought to question them. There has been a general misunderstanding of how dangerous these grips were. There was an unwillingness to rock the boat. In the last Part of this series, Part III we will examine safe and unsafe knife grips, on various knives, born out of our research and will illustrate defensive tactics that can be used against them. 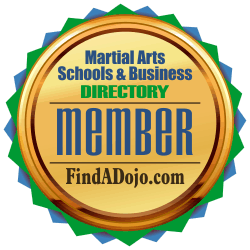 To contact WR Mann and Defense Science visit his listing on the Martial Arts Schools and Businesses Directory by clicking on the image on the left. 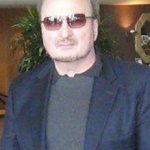 WR Mann is the founder and publisher of Defense Science, a self defense science website. He was one of the early advocates of Reality-Based Training, developing one of the first RBT programs before most people even knew what the term meant. WR started training in martial arts as a child in Europe and continued his quest while living in Asia for several years; studying many of the major systems of Japan, Korea, China and the Philippines. He also practiced fight sports such as: judo, BJJ, boxing, muaythai and fencing.